Today's card is something totally fun . . . this little piggy is a flying pig!
. . . bringing a bouquet of birthday balloons. What a great kids card! Fun to give to a child . . . and fun for children to make. Do you craft with children? If so this is pretty easy for kids to make. The balloons are punched out and they get to color the pig. The only challenging part for little hands might be when they have to cut out the pig with a scissors. One helpful tip, notice the strings for the balloon. These are stamped (or you could hand draw them). 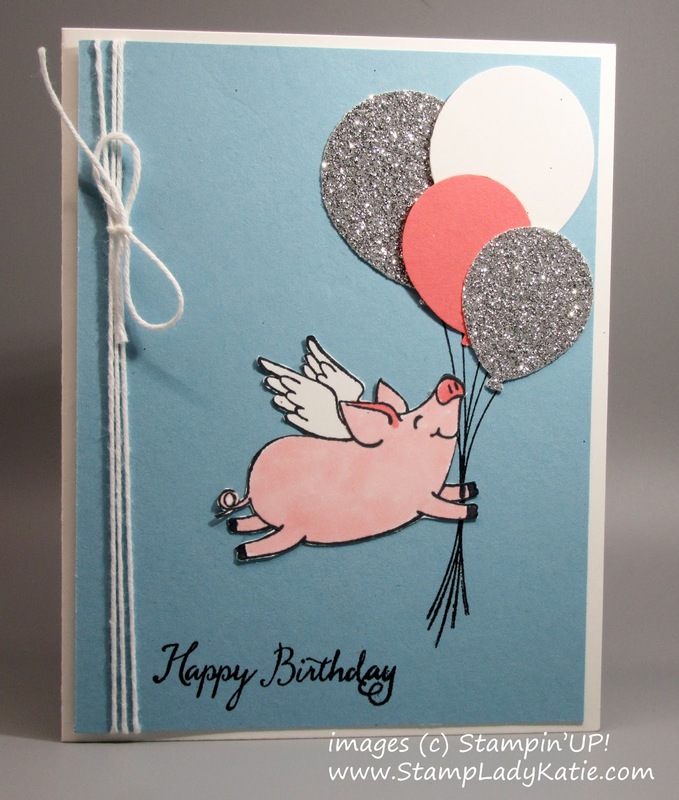 Then the fussy cut pig is glued on top the stamped string image and you'll need to go back and draw the balloon strings over the one pig arm so it looks like the pig is holding all the strings. 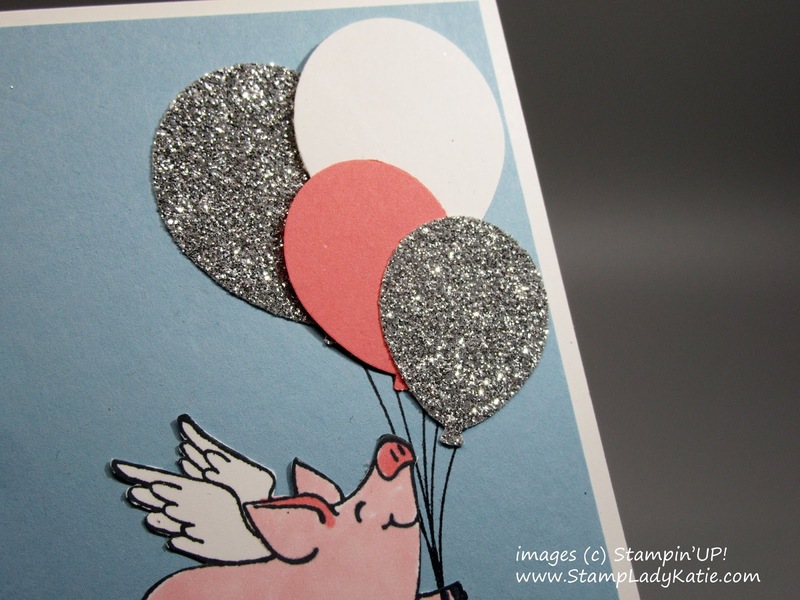 When you layer the balloons it really adds dimension to the card. And mixing the colors of balloons and including some made with glimmer paper helps to make each balloon distinct. Does this give you ideas for children's projects? 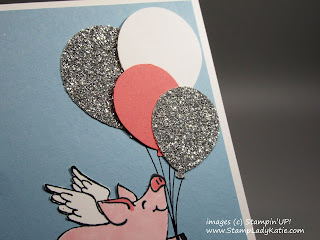 The pig stamp set is cute, the balloon punch I consider to be a "must have" in my craft room. Its a basic shape that is so versatile, not just for birthdays but for any celebration. And the punch actually has 2 different size balloons in the same punch. Well worth the investment. A complete list of products used on this card is at the end of the post. I hope you've been inspired to play. 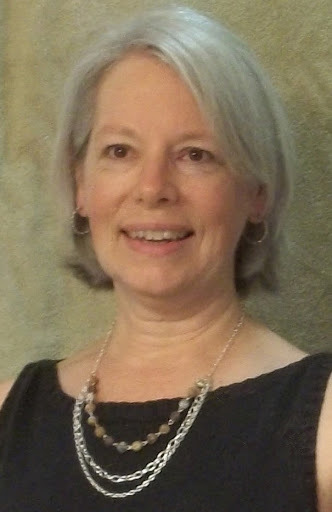 I'd love your feedback in the comments and I'm happy to answer any questions about this project or any others you have planned.